« Why do cats like to sit on laps? 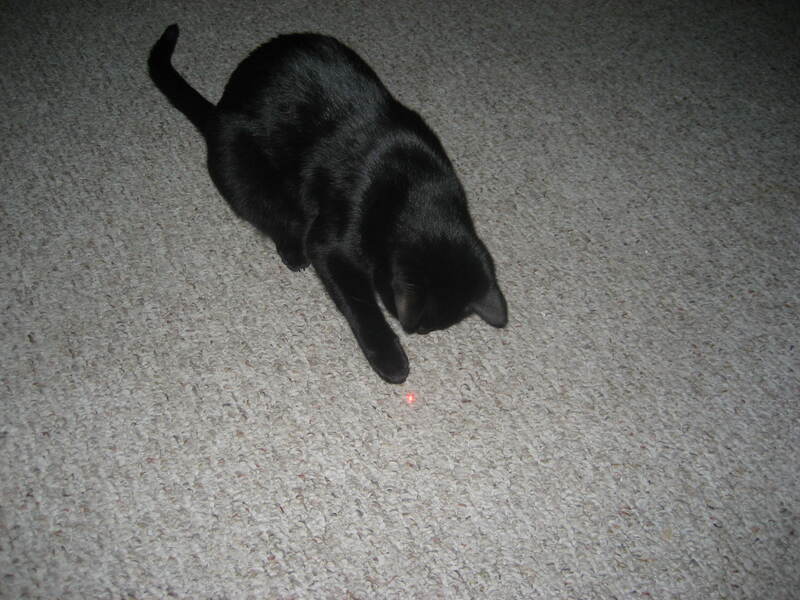 Last year my human daddy purchased a laser pointer/flashlight to see if I would play with it. 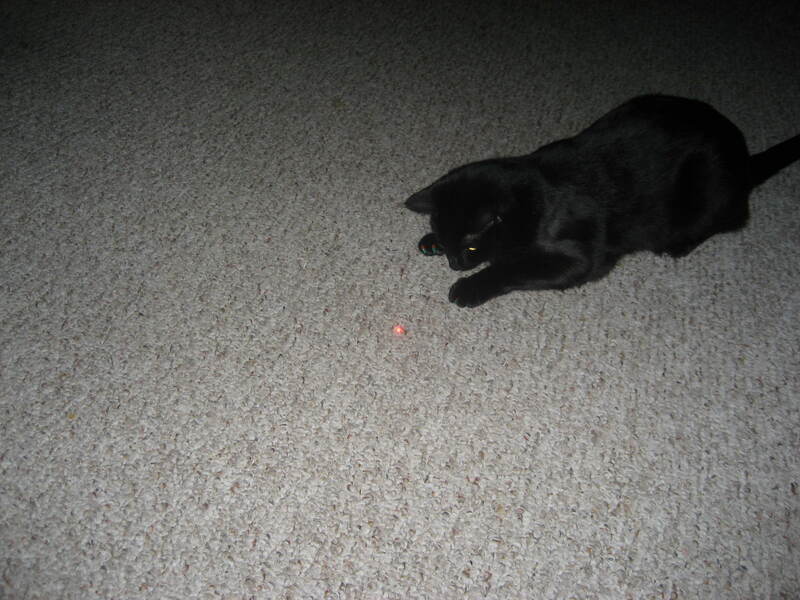 I can’t tell you how much I enjoy this stupid little red dot that dances all over the living room. I can’t help myself, I just NEED to chase after it. The second I see my parents reach for the laser pointer I run as fast as I can towards them in anticipation of the fun. Sometimes my humans try to trick me by picking up the laser pointer when I’m not paying attention or even sleeping (but I always know!!!). As soon as I hear the click of the button my ears perk up and I know exactly what it is. LASER TIME!!!! I love zooming all over the living room, its sooo much fun! I can’t seem to get enough. This was definitely a great purchase! 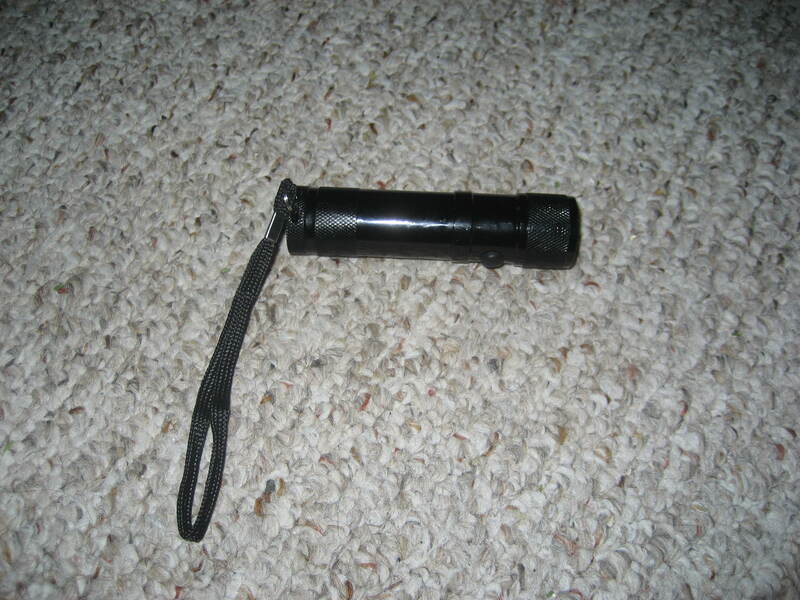 This entry was posted on February 10, 2010 at 3:02 pm and is filed under Pets with tags basement cat, black cats, cat, cat toys, cats, laser pointer, Pets, salem, salem spookypants, spooky, spookypants. You can follow any responses to this entry through the RSS 2.0 feed. You can leave a response, or trackback from your own site.